Every year, falls from height are a leading cause of fatalities and serious injuries, according to OSHA statistics. A large percentage of these falls are from ladders, which are so common on worksites. The Center for Disease Control (CDC) has reported that over 40% of fatal workplace falls involve ladders, and in the Construction industry, this number goes all the way up to 80%. 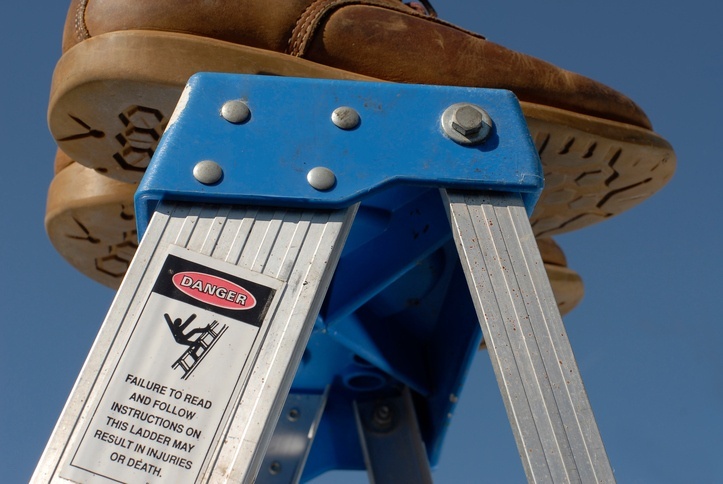 It’s no surprise, therefore, that ladder safety is a frequent and critical topic for safety professionals in any industry. From the type of ladder, to proper placement and usage, there are various aspects to consider. So if there is so much information out there about ladder safety, why are there still so many ladder-related injuries? Certainly, education and training are important. In many cases employees simply lacked the knowledge of how to use a ladder safely in a given situation. However, in my experience, many ladder incidents take place when the employee knows the safety recommendations and policies regarding proper usage. They simply took a shortcut on a fall prevention policy, failed to notice an important detail, or they felt very comfortable while at height and pushed their luck too far in order to get something done fast. Given that these types of ladder incidents are so common, what are the potential individual SafetyDNA traits that underlie these behaviors? Let’s take a look at the Four Factor SafetyDNA Model and look at ladder safety through this lens. 1) Do I Even Need a Ladder? Let’s start at the most basic level. Many falls, strains/sprains, or musculoskeletal injuries take place when employees can reach an object over their heads by stretching up to get it, when they should actually be using a ladder. It’s a common temptation – why go through the trouble of getting a ladder when I can just do this in 2 seconds by reaching up and grabbing what I need? I’ve even heard of several examples where employees climbed up past 5 feet on racks because they didn’t have a ladder nearby. Control – This factor deals with how much you believe you are in control of what happens to you. Some people really believe their actions decide what happens to them, whereas others believe that situations and circumstances dictate what happens to them. In this situation, a person low on Control is likely to feel that they really have no choice but to reach or climb up, simply because there is no ladder around. They immediately see the situation dictating to them that there’s no other way to do the job. In contrast, people who are high on Control are likely to perceive the options they have, and more likely to consider going to get a ladder instead. Caution – This factor is involved when we feel very little risk vs. the big reward of saving time (even if it’s just a few minutes). Getting a ladder, when we can just reach or climb up a couple of feet, is a classic example of when the reward seems much greater than the risk, especially when there is not a ladder to be found, or it will take a few minutes to go and get one. 2) Which Type of Ladder Should I Use? Many incidents result from using the wrong type of ladder for the situation. Not all ladders are the same – there are extension ladders, stepladders, and fixed access/permanent ladders. Then, there is the material that it’s made of. Is it aluminum, fiberglass, or wood? Does it have slip resistant feet? 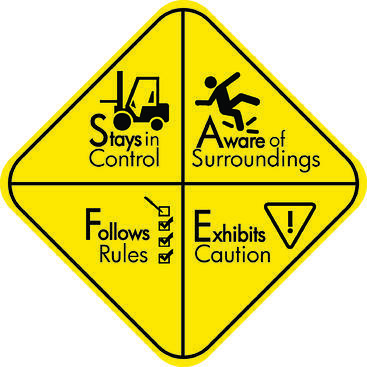 These factors are critical to using a ladder safely. For example, stepladders should never be used in place of extension ladders. Aluminum ladders conduct electricity, so while they are the lightest material, they should never be used while doing any electrical work; fiberglass ladders should be used in these instances. Furthermore, employees should always make sure that any ladder they use has slip-resistant feet at the base, in good condition. Wooden ladders usually do not have slip-resistant feet, so they are generally not recommended at most work sites. These are just some of the main things to consider regarding the type of ladder to use. Rules – The Rules factor deals with one’s tendency to bend rules or interpret them as a guideline, rather than as a strict policy. Most work sites with quality safety policies and procedures have safety policies regarding the correct type of ladder to use. If such rules are in place and an employee willingly chooses to take a shortcut and use the wrong type of ladder, this is clearly where the Rules psychological factor kicks in. Some individuals will always take the time to follow procedures 100% of the time while others will always be tempted and more likely to just use whatever ladder is closest to them at the time, even if it’s the wrong type or material for the job. 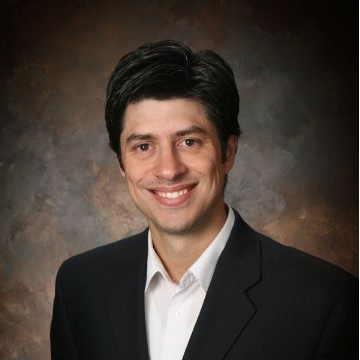 Awareness – There are some instances where an employee simply does not realize they have the wrong type of ladder. What if they don’t notice, or forget, that they will be working close to energized equipment or live electricity sources? In this case, the employee has no intention of breaking a ladder safety rule; they simply lacked awareness of the risk or forgot a detail that now puts them at risk. This is where the Awareness factor is critical. Awareness is a broad set of abilities, comprised of attention to detail, the ability to remember information about one’s surroundings, and the ability to work safely through distractions. No matter how much you know or how much you follow the rules, it’s hard to avoid a hazard if you never see it. 3) Am I Setting Up the Ladder Correctly? In many incident investigations, this is where a lot of people put themselves in harm’s way. They have the correct ladder but they fail to use it the right way. One of the most important precautions one must take is to always make sure the base of the ladder is placed on a firm and even surface. Otherwise, it will be unstable and could fall, especially while you are moving up and down on the ladder. When using a stepladder, one must be sure to open the legs fully and lock them to ensure the braces are locked. In the case of extension ladders, it’s critical to make sure that both sides are locked once you raise the extension. I know a co-worker who had a nasty and embarrassing injury because he forgot to do this, and he slid straight down and fell backward into his lawn. Luckily, he was not too high up and was therefore not injured too badly. Another important thing to consider is the ratio of how far away the base of the ladder should be from the wall when using an extension ladder. A good rule of thumb is the 4:1 rule: one foot away from the wall for every four feet up (or for every four rungs on the ladder). This will help you to have just the right amount of stability at the base of the ladder for the height at which you are working. Rules – People who are naturally rule-bound like to do things “the right way,” according to the manual or rule book. So if the sticker on the ladder says to set it up a certain way, these people are simply more likely to do it exactly like the sticker says. The personality traits that are behind this behavior are also the same traits that make some people more meticulous than others, which means they will not mind taking the extra time to do it correctly. 4) Am I Working Safely On the Ladder? We should all be well aware of the dangers of standing on the top rung of the ladder. These are not designed for people to stand on, and as tempting as it might be to stand on there for just a second or two, don’t do it! There is a reason ladders have all those bright stickers telling you not to stand on the top. Finally, the one that gets so many people (and I have certainly been guilty myself of this) is overreaching while on a ladder. You’ve probably been there many times – you’re almost done with the job, but to finish it, you just have to lean a little to the left. And then a little more to the left… but you’re still not done and now you come to a decision point – climb all the way down, move the ladder to the left and climb all the way back up, or…just lean one bit more to the left. You know how that story often ends. Caution – This situation has Caution written all over it. Essentially, it’s the reward of saving time and effort being perceived as greater than the risk of falling. The key takeaway is knowing what the tipping point is for you. Some people won’t lean much at all before they climb down to move the ladder, while others will almost stop at nothing to avoid having to do that. These are just some of the ways our SafetyDNA traits can influence our level of risk when doing an everyday task, such as using a ladder. By following existing rules and basic ladder safety precautions, we can decrease our chance of injury in these situations. But it’s important to know that our SafetyDNA traits often make it hard for us to follow these precautions, especially when we are in a hurry or under pressure. By knowing how we are “hard-wired” for safety, however, we can adjust our behavior accordingly and significantly reduce our risk on any task, at any time.